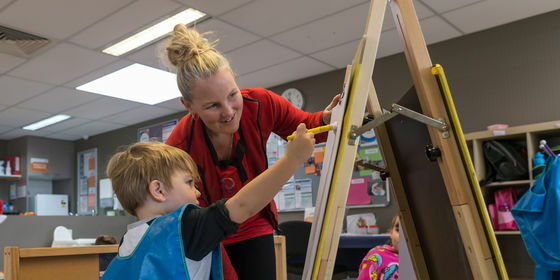 The National Framework acknowledges that the families and communities in which children live are diverse and that children’s learning and development is enhanced when professionals respect their culture and way of knowing and being. The National Framework recognises that every child will take a unique path to the five outcomes above, and that all children require different levels of support. Please pack your child a piece of fruit and bottle of water for snack time. Ensure that your child’s lunchbox and drink bottle are named. When you arrive, we ask that you place your child’s lunchbox and drink bottle on the trolley provided in the foyer. A deposit of $50.00 must be paid to enroll in the program. All remaining payments need to be finalised by the second week of each term. Enquire about our three year old kinder today!